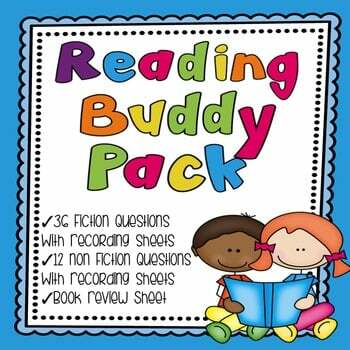 I created the Reading Buddy Pack for several reasons. Every week my students meet with their reading buddies. I was finding that without specific guidelines and questions, the time wasn’t being spent with quality reading and book talk. 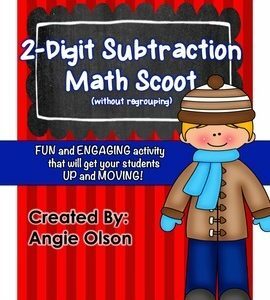 These questions help to keep the students focused, accountable, and on-task. 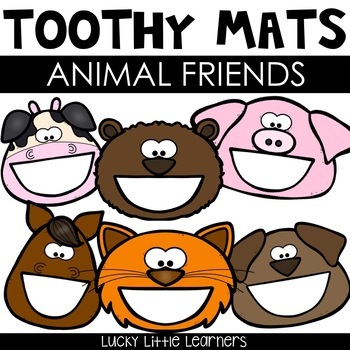 There is enough room for the students to write their answers under each question or the questions could be asked orally. 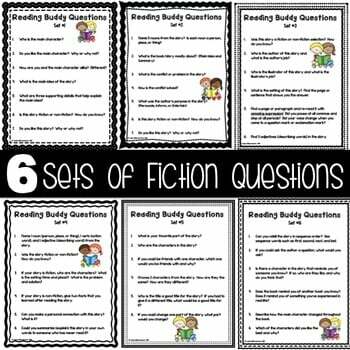 I also use these questions in the classroom from time to time during our daily 5 (read to someone) time. I have even used them with parent and grandparent volunteers who come in to listen to students read. I always keep several copies ready to go in my room at all times. 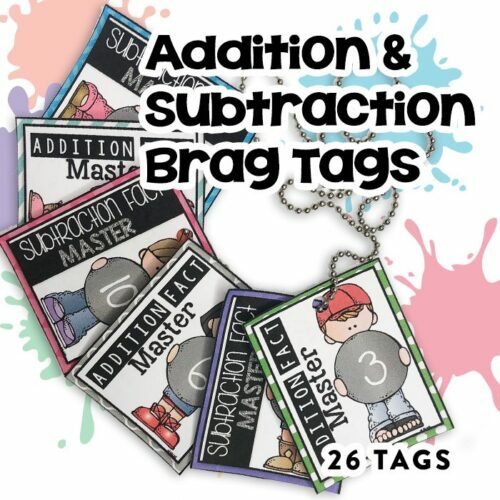 This product contains 48 comprehension questions (8 sets)! 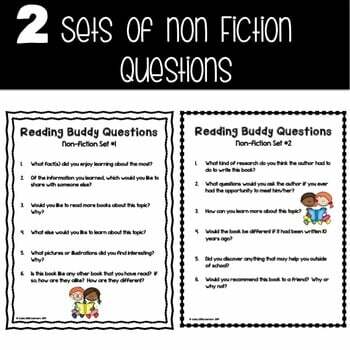 This now includes 2 sets of non-fiction questions! 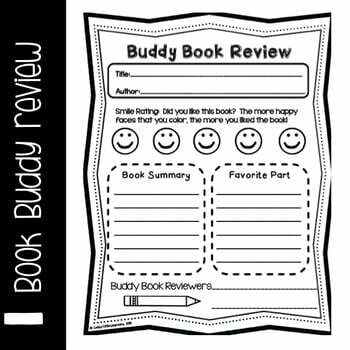 I have also included a buddy book review! 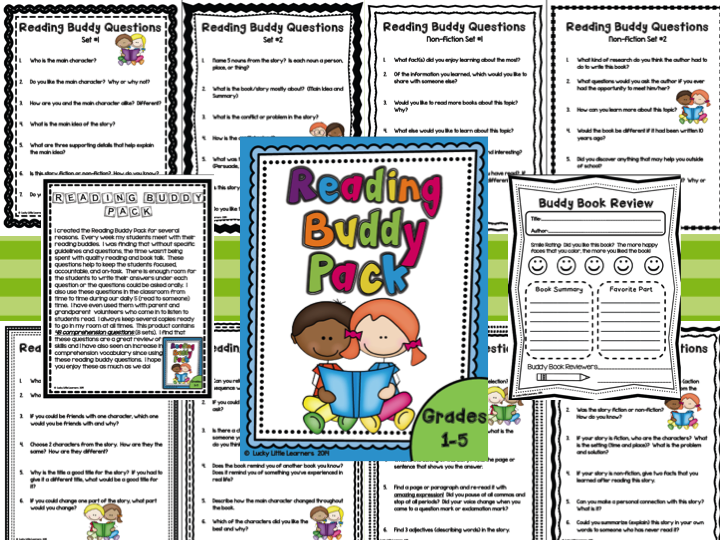 I find that these questions are a great review of skills and I have also seen an increase in comprehension vocabulary since using these reading buddy questions. 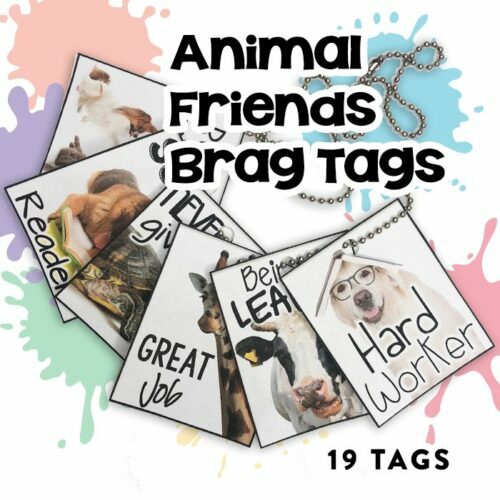 I hope you enjoy these as much as we do!